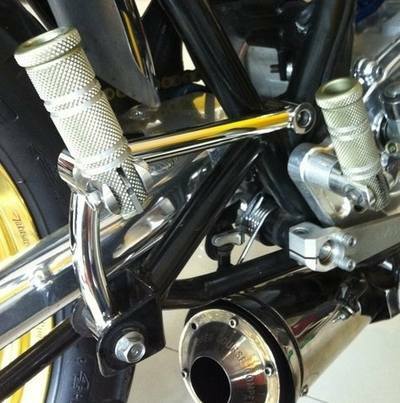 Polished stainless and billet alloy pillion footrests to fit the late model Yamaha SR500 & SR400. 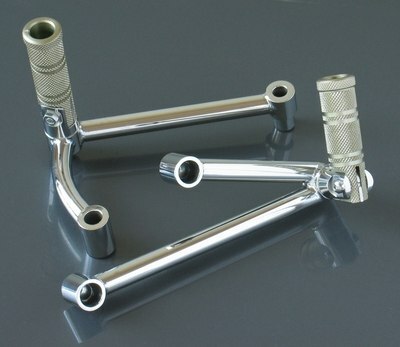 These polished stainless and billet alloy pillion footrests are approximately 100mm higher than original. 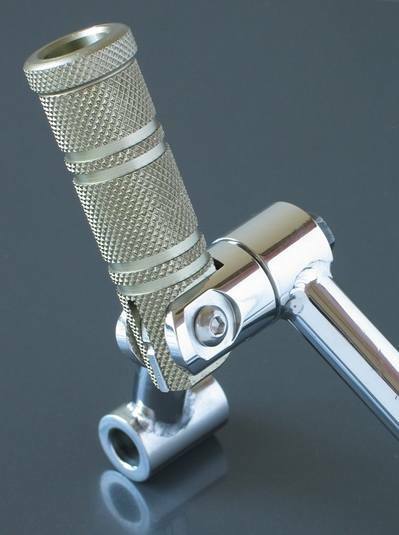 The folding knurled alloy pegs click into the up or down position with a spring and ball bearing mechanism. These are designed for late model SRs that have a bolt-on left hand pillion peg bracket. 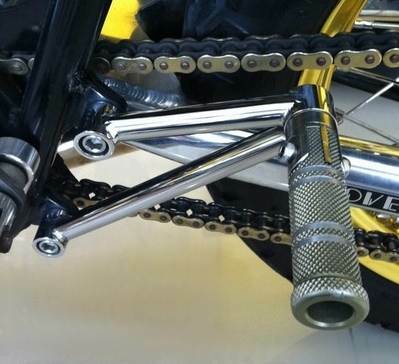 These will not fit frames that have a welded left hand pillion peg bracket. Quoted price is for the pair of footrests. Mounting bolts are not included.